After meeting with Meek Mill at the State Correctional Institution in Chester, Pennsylvania, civil rights leader Al Sharpton said the rapper had one primary message he wanted to get to the people. "He's a bright young man, he's committed. He said, 'Reverend, if nothing else, let people understand what this system does,'" Sharpton said. "…'It's not just about me.' It's about too many people, a lot of whom he talks to inside [of prison]." 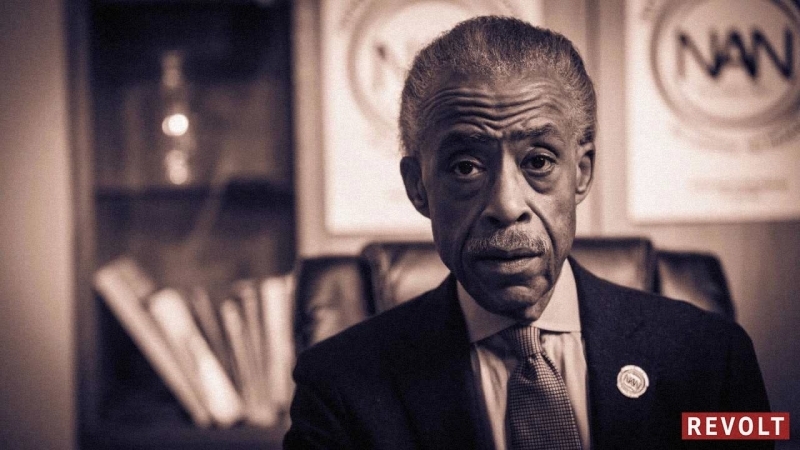 Al Sharpton went into the State Correctional Institution at 2:30 p.m. EST, and emerged from the building around 4:45 p.m. with Meek's lawyer Joe Tacopina to speak to a field of reporters about the visit. Sharpton began the press conference by reiterating what he said before: that Meek Mill was representative of a justice system that disproportionately punishes people for minor infractions. "Meek represents thousands of people in Pennsylvania, and tens of thousands around the country, that have been victimized by abusive probationary and parole systems that give room for judges to act way beyond what is necessary, what is palpable, and in my judgment, what is ethical, to throw people's lives away," Sharpton said. He also pointed out that at age 30, that Meek had been on probation since he was 18 years old. Sharpton added that the two probation violations came from a charge that was dropped, and charge that was never filed. "He's representative of many people institutions like this, who do little or nothing, they're violated and their lives and businesses are ruined." Brinkley sent him to prison anyway. "I would hope this judge looks at the fact that when you put someone of this background away, for a violation that was not even charged in one case, and was dismissed in another case, you're really exposing a ruthlessness in the system that should be changed," Sharpton said. "I would appeal to her to look at this, and really examine, does she want to be the type of person that would do that. I don't think she does. At least step aside and have someone else evaluate." He added that his involvement with Meek's case won't stop with Monday's meeting. "I intend to follow this case and work with these attorneys every hearing, every step of the way," he said. Meek's attorney Joe Tacopina said that from here, the next step is to "follow procedure" - they've filed requests for Brinkley to either reconsider her sentence, or for her to recuse herself from the case. If Brinkley does neither by Dec. 5, "we'll go elsewhere at that point."